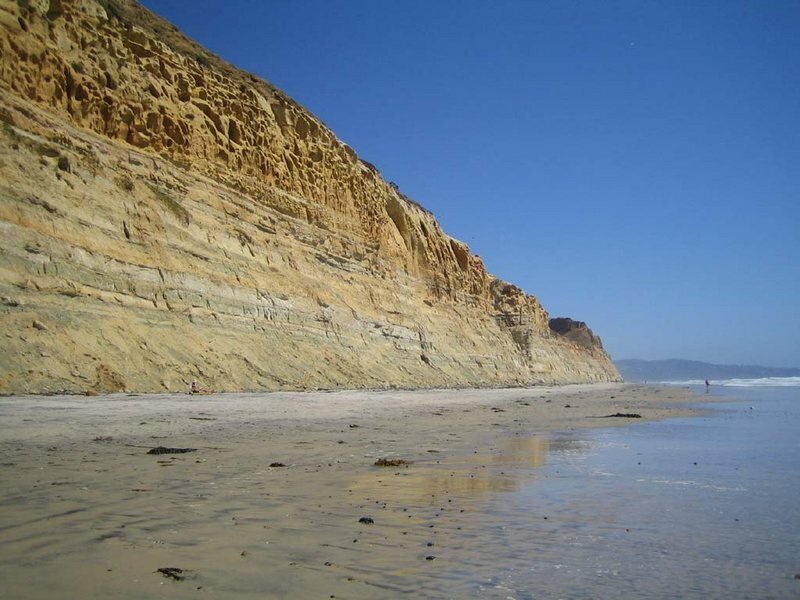 San Diego lifeguards and firefighters Tuesday morning rescued a man who spent the night on a shallow ledge above La Jolla’s Black’s Beach after becoming stranded on the bluffs while hiking overnight, authorities said. Rescuers were first alerted to the man’s presence about halfway down the beach-front cliffs around 5:45 a.m., San Diego Fire-Rescue Department spokeswoman Monica Munoz said. He later told his rescuers he’d been stranded on the cliff face for more than six hours. A helicopter responded to the area to help pinpoint the location of the stranded man before emergency crews decided to send a rescuer rappelling down the cliff face from above. Footage from the scene showed the firefighter hooking the man into a climbing harness and helping the shoe-less victim scale the cliff’s packed-dirt face as other emergency crews pulled his rope from above. A paramedic told dispatchers that the victim reported falling about 10 to 15 feet during a nighttime hike above the beach, though since it happened in the dark, he wasn’t sure exactly how far he fell. He complained of some right shoulder pain and had minor cuts and bruises.